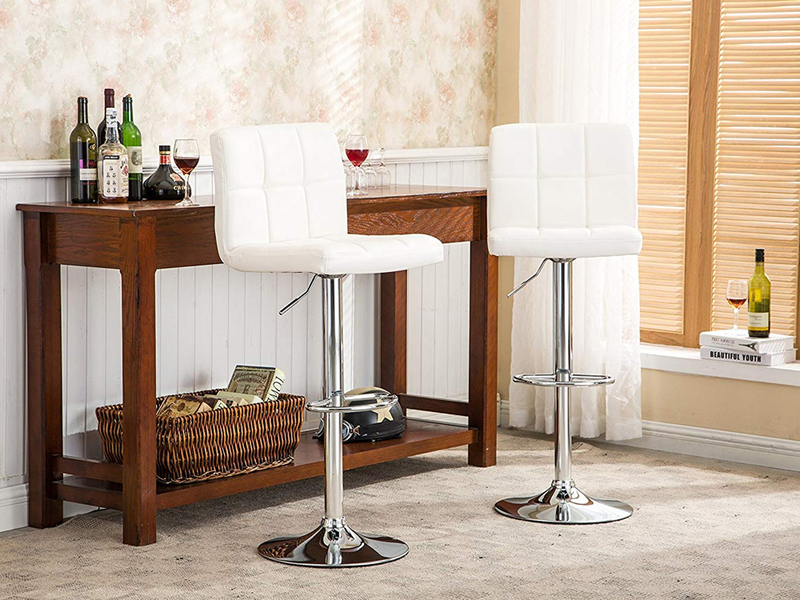 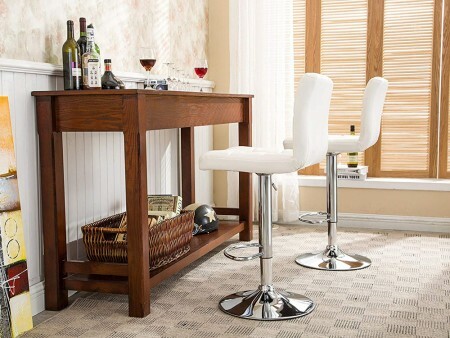 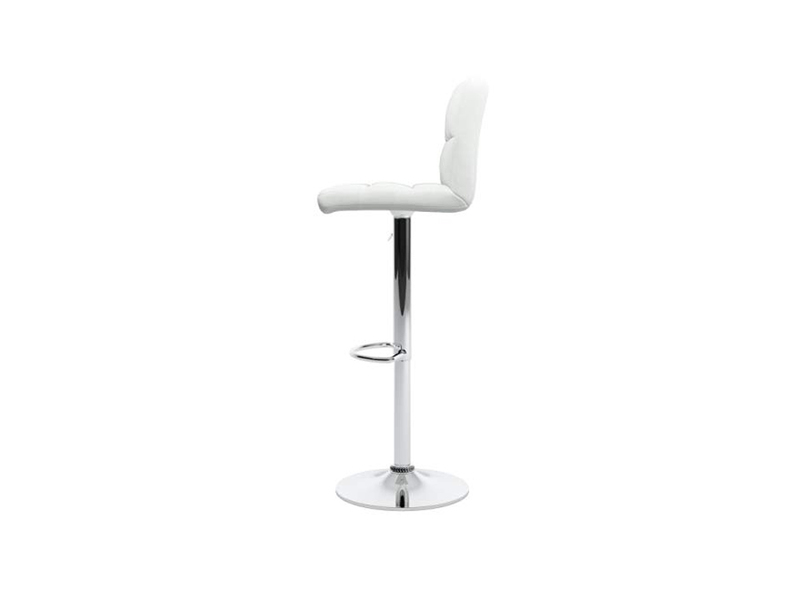 The stool has a sturdy chromed base and a handy lift mechanism with a built in 360° swivel function and footrest that allows the stool to adjust from counter to bar heights. 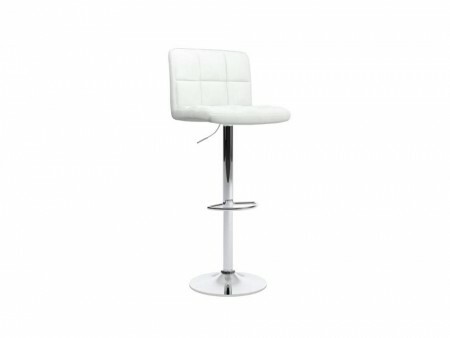 This air lift adjustable bar stool with faux leather seat that have been injected with foam for added comfort. 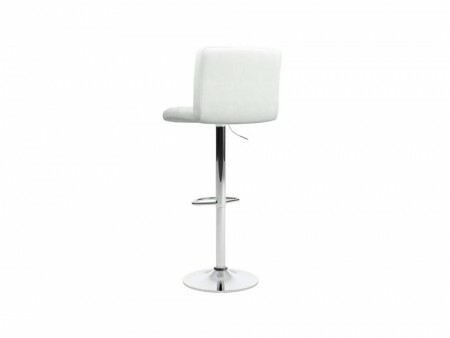 Dimension: 17.5" W x 17.5" D x 35"-43.5"H; Seat width 17.5"; Seat depth 14"; Seat height 21.5"-30"; Seat back height 12"; Cushion height 2"; Chrome base diameter 16.5"